Home › Faculty & Staff › Pilkington, Marilyn L.
Marilyn Pilkington is Associate Professor and former Dean (1993-98) of Osgoode Hall Law School (York University). She joined the faculty in 1980 and retired in 2013. She is co-author (with Frank Iacobucci and Robert Prichard) of Canadian Business Corporations Law (Canada Law Book 1977), co-author of Evidence: A Canadian Casebook (2nd edn. 2006), and author of articles and reports on constitutional law, constitutional litigation, evidence, legal education and enforcement of securities laws. Prior to joining the Osgoode faculty, she served as law clerk to The Hon. Mr. Justice Judson, Supreme Court of Canada, and practised civil litigation with Tory Tory DesLauriers & Binnington (now Torys LLP). She teaches mainly in the fields of constitutional law, constitutional litigation and evidence. She has also taught trial advocacy, civil procedure, legal profession and a seminar on the North American Free Trade Agreement. Professor Pilkington has broad experience as a member of university policy bodies, professional regulatory bodies, public policy research institutes, search committees and boards of not-for-profit organizations. She has served as an elected Bencher of the Law Society of Upper Canada (1999 to 2003), Chair of its Specialist Certification Board, Chair of its Discipline Appeal Panel, and a member of various policy committees and task forces. She was appointed by the provincial government to the Ontario Council on University Affairs (advising the Minister of Colleges and Universities) and to the Commission on the Future Role of Universities in Ontario. She served for 16 years as a Director and Trustee of the Institute for Research on Public Policy, and she was a member of the founding taskforce of the Ontario Justice Education Network. She is a past Director of the Toronto City Mission, a former Governor of the Shaw Festival and a recently retired Trustee of the Royal Ontario Museum. In each of these capacities, she served as chair of the governance committee. She currently serves as a member of the three-person Independent Review Committee of Vanguard Investments Canada. Ms. Pilkington is experienced as a litigator, adjudicator, and consultant. She has served as an international consultant on the reform of legal education, as an external reviewer of Canadian law school programs, as a consultant to the Senate Foreign Affairs Committee (on constitutional and dispute resolution issues pertaining to the Canada-US Free Trade Agreement), and as a consultant to the Law Society of Upper Canada, governments and law firms. She has contributed to law reform projects on Crown Liability and Commissions of Inquiry. She has adjudicated in the fields of human rights (federally and provincially), professional discipline and university discipline, and is appointed to the roster of candidates to serve on panels established under chapter 19 of the North American Free Trade Agreement. She is also called upon from time to time to serve as independent chair of corporate and public meetings and to mediate or arbitrate disputes. She has served as counsel to The Hon. Peter de C. Cory on his review of the Medical Audit System in Ontario and as his co-author on a study of Critical Issues in the Enforcement of Securities Law in Canada for the Task Force on the Modernization of Securities Law in Canada. 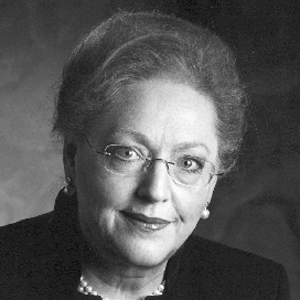 Under Marilyn Pilkington’s leadership as Dean, Osgoode Hall Law School restructured in response to significant government funding cuts. Enrolment in the LLB program was reduced to facilitate improvements to the program, and significant new initiatives and enrolments were developed at the graduate level, including the Osgoode Professional Development program for practising lawyers. The OPD is a unique program responding to the need for advanced and specialist education beyond the JD and, in addition to a range of continuing legal education programs, offers part-time LLM programs in more than fifteen specialist fields. During her deanship, substantial external funding was attracted to the Law School to support program development, facilities renewal, bursaries and new research initiatives. Despite the deep financial cuts, no deficits were incurred and the academic budget was significantly expanded. This strategic development of the law school emerged from the prior work of the Special Committee on Academic Planning, which Professor Pilkington had chaired.